Started as a Video Sharing website, YouTube has become the epitome of Entertainment in the past years. From short clips to full-length films, almost every video content is nowadays available in YouTube. It’s growing so quickly that filmmakers prefer YouTube for releasing trailers, short films etc instead of the traditional media. At the same time, for publishers, it’s an effective way to earn a living. It was after the popularity of YouTube that we started talking about video blogging and YouTube Views. So, you might be a professional video blogger or publisher, who is into YouTube. Or, you may be a newbie who does not know much about YouTube but have passion for doing that. Then, in order to establish yourself in YouTube platform, you will need more and more viewers. And, getting more YouTube views is not an easy task. However, with the right steps in use, you can increase YouTube views quite effectively. 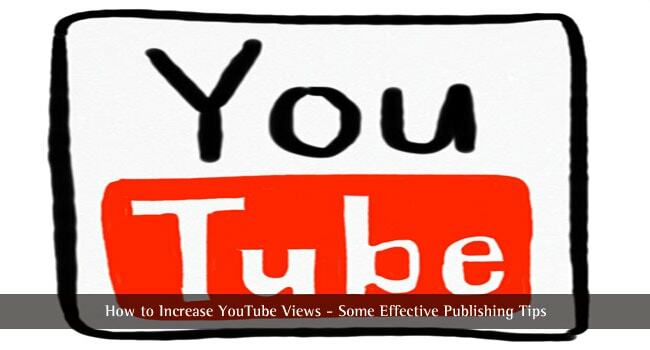 In this article, we will tell you how to increase YouTube views. If you’ve attractive, worth-watching content with you, these tips will surely be helpful. After all, more views mean more money too, don’t they? Note: If you already are facing issues like the YouTube black screen, you can decide to skip them. That having said, there are some universal tips that you can keep using. Shall we check them out, then? 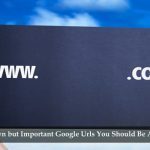 Just as in the case of a website/blog, Title is an important thing on YouTube as well. While uploading a video to YouTube, you will be asked to provide a custom title. 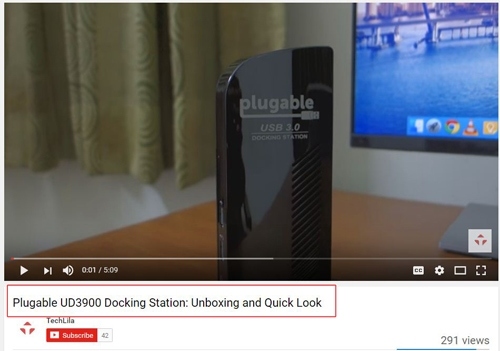 This title is shown along with the video thumbnail. You should be much careful while writing this title. First of all, the title should reflect the core content of your video. It’s unprofessional and unethical to attract viewers by giving wrong information. It may work for some time, but gets worst in the end. So, don’t ever try to fool your visitors. So, we were saying, you should give an apt video title. Suppose you are doing an ‘About Us’ video of one company. Then, instead of giving a mere title like ‘About Us’, you should mention the name of your company as well. So, the next time when a YouTube user wants to know about your company, your video can be on the top position. This, surely will have help you increase YouTube views for that video. In addition, talking from Search Engine Optimization point of view, a keyword research is useful before confirming the title of a video. You can use Google Keyword Search options to find the mostly-used keyword combination. Then, if it does not make your video title messy, you can include those keywords in your video title. Does that sound nice? Your YouTube channel may be receiving organic traffic from searches. However, there’s another way to get more views in the channel and you just need a blog for that. It may sound awkward at first, but it’s a fact. Suppose you are doing a video on ‘How to Find Your Phone While It’s in Silent Mode’. Along with that, you can create a blog post and publish it in your blog. It’s great if you can do some optimization and marketing to the post. And, the important thing is that you need to embed the YouTube video in the blog post. So the next time someone reads the written guide in the blog, he/she may get redirected to your YouTube video page. It’s a proven fact that people love visual tutorials when compared to written ones. Despite this redirection aspect, a blog can be used for other types of monetization as well. In short, you can interconnect your YouTube channel and blog through many ways. This is a proven method to increase YouTube views. The logic behind is so simple – It is between video content and written content. There are many factors that attract people when they’re in YouTube Search Results page. And, thumbnail of your video is a truly significant factor, we’d say. On a personal note, I won’t go for a video if it’s having some random thumbnail that is not related to the content. Because of these reasons, you should have a custom-designed thumbnail for your video. Well, you don’t have to spend hours for designing. The easiest method you can do is to capture an important shot from video and add a written description on top. Believe us or not, this can have huge impact on people’s preference to your videos. So, a good thumbnail is a must. Next up, we have Video Descriptions. It seems that newbie vloggers don’t give importance to video descriptions. As we’d take a deeper look, it’s clear that video descriptions play an important role. According to experts, a video description should have the major keyword phrase, a mini-blog post and URLs (if required). Apart from the reach point of view, there are people who read descriptions before watching the video. So, a good video description can not only increase YouTube views but also enhance the reputation of your channel. Do you think sharing your video in Facebook and Twitter is enough to attain publicity? Well, you’re pathetically wrong on this aspect. According to personal experiences and suggestions, you should depend on upon multiple social networks instead of one. Not just social networking platforms, you can count on some social bookmarking sites too. You should also consider sharing the videos in Reddit, which is an effective platform for discussion. So, when it comes to sharing your video, it’s not good to limit to a few platforms. Talking of Social Media Promotion of your videos, you should give primary importance to Facebook. As you know, there is a way to share fully-fledged videos in Facebook. Perhaps, you can create a shorter version of your video and get it ready in Facebook. At the end, you can include a call-to-action that invites your readers to YouTube channel. We bet, if you have compelling content, this will increase your YouTube viewership for sure. In case if you did not know, Facebook videos can reach more users when compared to YouTube. This tip will help you to rank high in YouTube Search Result pages. As you know, Google uses different algorithms to rank videos according to quality. As a part of this, Google may listen to your video — not exactly be listening, but just finding out what it’s about. And, chances are high that your mispronunciation may rank you down. As a precaution, it makes sense to upload the video transcript along with the video. This way, when Google listens to the video, you can capitalize what you wrote. This is another way to get selected from the Results page of YouTube. When it comes to the selection, YouTube users give importance to the length of video as well. So, your video should have an optimal length — not too long, not too small. As per what some researchers say, videos can reach well if the length is around 3 minutes. Nevertheless, this principle is applicable to change. For instance, if you are doing an in-depth review of a product, it’s okay to keep the video lengthy. Otherwise, when you know people won’t tolerate the length, you should restrict it to something around 3 minutes. Last but not least, you should have an impressive network of YouTube bloggers! It’s great if you have a bunch of friends who receive mediocre views for the videos. If that is the case, you can try something called collective promotion. You can link their videos from your videos and they can do vice versa. 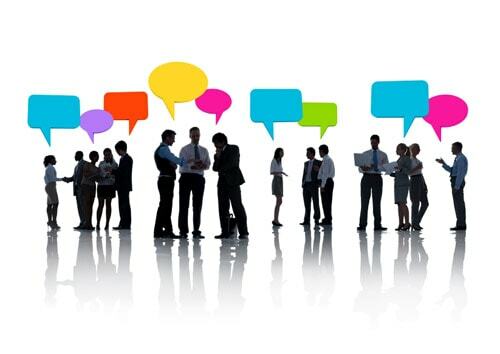 It’s necessary to have different niche bloggers in a network. Then, it will become easy to create redirections. So, in short, networking can have an extra role in increasing daily YouTube views of your channel. These tips won’t give you thousands of visitors in a single day. However, you can keep these tips in mind when you publish quality content on YouTube. If you have worth-watching, attractive content, they will help you rank higher in result pages of YouTube and to increase YouTube visitors. By the way, do you have any other way to increase YouTube views on your channel? Of course, you can talk from your personal experiences. Thanks for the information about youtube views. Can you post an article on How to increase facebook likes Instagram, Twitter Etc? Please post an article on this I am waiting for your reply. I need Facebook Twitter and Instagram likes. Youtube can be a great source to make money also. Many video blogger makes money by that. Your tips are really helpful, thanks mate. After reading your post I was thinking that the person who has written this post have a great piece of knowledge and have well stated the points and yes I agree with each and every point and yes all are helpful and useful for ranking, It’s the most utmost part of ranking your stuff. Thanks a lot for sharing such an important part of SEO. Thanks for sharing tips to increase youtube views. This is one of the best posts. I could user this tips to increase my viewers and subscribers. And you described it in so easy and simple way, keep informing. Thanks for the interesting post. Well, I am new on youtube. At the moment I am struggling with the viewer issue. I hope this post will help me regarding my that problem. Thanks for the post. We wish you all the very best Rakib. Do tell us about the improvements. The title on YouTube videos matters most. I always use catchy titles and get views. The point is when a query is returned, what’s going to convince a user to click on your YouTube video? I believe the title contributes like 70%. Awesome post Dude! Thanks for sharing. Will it be effective if I get fake views for my YouTube videos? Could you please explain me the benefits and drawbacks of buying YouTube views? I don’t think so it will help. Google counts average watched time as well so think twice before buying views. These are some great tips on increasing your Youtube views. You have given me some great ideas for my channel that I can’t wait to implement. I agree with Kolo in my experience your title has made a huge difference for me and also proper keyword research. Thanks again. Great article and information. This is really helpful tips to know. Some also purchase youtube video views easily to sites offers great services to purchase. Great tips to increase YouTube views. Thanks for sharing this with us. It’s really helpful.